The TV pitchmen make it sound like the easiest thing: Use your home equity to finance your retirement through a reverse mortgage, and stay in your home without ever making a payment. What they forget to mention is a reverse mortgage is not nearly that simple. While it is a great way for some older people to remain in their homes, it isn’t a good fit for all. Plus, even when it’s a good option, it’s expensive. A reverse mortgage is a fancy name for a home equity loan taken in retirement. In truth, “reverse” really shouldn’t be in the name. A reverse mortgage is a mortgage, although it has some different terms than a traditional mortgage. You borrow against your home equity in exchange for a line of credit, a stream of regular payments, or a one-time lump sum. You don’t have to pay the money back until you move out of the house, often after you die. However, the bank charges interest against your loan balance until then. The big advantage of a reverse mortgage is that you can draw money from your home equity that you don’t have to repay while you live in the house. The big disadvantage is that the principal and interest on the loan can accumulate until there is no value left, affecting estate plans and making it difficult to downsize to another residence. On top of that, the closing costs may be high relative to the cash that you receive. The earlier in retirement that you take out the reverse mortgage, and the lower the value of the house, the more expensive a reverse mortgage is going to be. There are other ways to unlock the value of a house in retirement. In many cases, the simplest thing to do is sell the house and move to a place that is both smaller and cheaper. 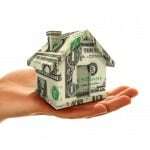 Another option is to take out a regular home equity loan. If you already have a home equity line of credit in place, you can draw on that without having to pay more in closing costs. Yes, you’ll have to pay it back, but this can be a great way to tide you over during a temporary tight spot. Many home equity lines of credit require only repayment of interest, which means that the burden of the repayments may not be as bad as you might think. One of the first things to look at is whether you are able to cover your current living expenses with your current income. If yes, then a home-equity loan may be the better way to go. If not, the reverse mortgage may be. The next consideration is how the money will be used. Is this money for a dream vacation when you turn 65? If so, the reverse mortgage is going to be way too expensive. If it’s to cover the costs of nursing care because you are 85 and ailing but want to stay in your house, then it’s a more reasonable proposition. Another issue is whether you will be able to afford the ongoing expenses of the house. As with any mortgage, the homeowner is expected to pay insurance, maintenance and property taxes. If you can’t afford that, then a reverse mortgage is only delaying the inevitable. The house itself is a depreciating asset. A reverse mortgage allows a homeowner age 62 or older to withdraw up to 65 percent of the equity in his or her home. The money can be taken in a lump sum, monthly payments, as needed with a line of credit or some combination of these options. No payments are required until the last borrower dies, sells the house or is out of the house for 12 months. But the program is not as straightforward as it sounds, and unscrupulous players have given the program a bad name. While Congress has added consumer protections, it’s still easy for unsophisticated seniors to be misled. Before you take out a reverse mortgage, it’s crucial to know what you’re getting into. “You can still end up losing your home with a reverse mortgage,” says Jamie Hopkins, a professor of taxation at the American College in Bryn Mawr, Pennsylvania, and associate director of the New York Life Center for Retirement Income. You still have to pay taxes, homeowners insurance and maintenance costs. If you don’t, your home is at risk. Another way you can lose your house is going into a nursing home for more than a year. 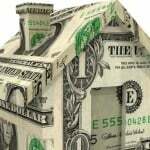 An origination fee ($0 to $6,000) in addition to the normal mortgage refinancing closing costs. An up-front cost for private mortgage insurance (0.5% or 2.5% of the appraised value of your home). A one-time fee of about $125 for mandatory counseling. Recurring charges for mortgage insurance (1.25% of the amount borrowed every year) and servicing costs, about $30 to $35 a month. That means if you borrow $150,000 on a $300,000 home, upfront charges could be $5,000 in origination fees, $1,500 or $7,500 in mortgage insurance, plus fees for title insurance and other closing costs. On top of that, you’d pay $1,800 a year in mortgage insurance plus about $360 in service fees. All these costs come out of your home equity, although you can choose to pay them in cash. The interest rate, which is usually tied to an index such as the London Interbank Offered Rate, or Libor, can vary from about 2.5% to 4.5% for a reverse mortgage taken out today. The higher the interest rate you pay, the more the lender makes, says Casey Fleming, author of The Loan Guide: How to Get the Best Possible Mortgage and a mortgage professional in the San Francisco Bay Area. Unlike with a conventional mortgage deal with a broker, that compensation is not disclosed. The base interest rate itself is an adjustable rate, which changes with the index (the Libor is currently about 0.5%). The margin – the extra you pay as compensation to the lender – goes on top of that. So if the Libor stands at 0.5% and the margin is 2%, your interest rate is actually 2.5%. If the margin is 4%, you’d pay 4.5%. Most reverse mortgages are adjustable, meaning the rate rises and falls with the Libor or other index used to set the rate. More than 90 percent of reverse mortgages today are issued through the Federal Housing Administration’s Home Equity Conversion Mortgage program, although more private options are expected to be available later this year. Some charges, such as the mortgage insurance amount, are set by the FHA and will be the same no matter which lender you use. But the origination fee, while it is capped at $6,000, is negotiable, as is the interest rate and the margin. That makes it important to shop around. The broker will not disclose the margin unless you ask. If you’re in a position to do a conventional cash-out refinance or apply for a conventional line of credit, you’ll find both of those options much cheaper than a reverse mortgage. But they do require that you make payments and meet income qualifications. “You might be able to get a better rate and more money elsewhere,” Hopkins says. Before you take out a reverse mortgage, look at other options. Can you sell your large, expensive house and buy a much cheaper one? Does your city, county or state have grants that will help you pay for a new furnace or new roof? Put both members of a couple on the title and mortgage. This is important because once the last person on the mortgage dies or is absent from the home for 12 months, the mortgage becomes due. 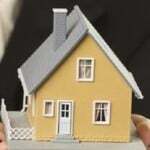 Be sure you can pay property taxes, insurance and upkeep. The ads make it sound as if it’s impossible to lose your house. But if you don’t pay your taxes, you can. The lender also requires payment of insurance and maintenance. If the vendor of the mortgage tries to sell you other products, run away. Some unscrupulous lenders have encouraged elderly people to take out reverse mortgages and then use the proceeds for less-than-desirable annuities. You don’t want to take financial advice from someone who is motivated by a commission. Seek impartial advice. Get guidance on whether a reverse mortgage is a good option for you from someone who does not stand to benefit financially. That could be a fee-only financial advisor as well as your adult children. The FHA requires counseling for those who take out its loans, but you want solid advice specific to your situation before you reach that point. Know your options. Shop around and make sure each vendor clearly outlines the interest rate, origination fees and other fees. Push to find out the margin because a vendor will not volunteer that information. Consider carefully how you want your payout. 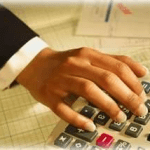 You have the option of receiving a lump sum, monthly payments or a line of credit. For most people, the line of credit is the best option, Hopkins says, because you only draw on it if you need it. Know that if you take more than 60% of your principal limit up front, you will be charged 2.5% of your home’s appraised value in mortgage insurance upfront rather than 0.5%. Evaluate how long you want to remain in your house. If you’re thinking of moving in a few years, a reverse mortgage is probably not a good option. Annie Logue contributed to this report.